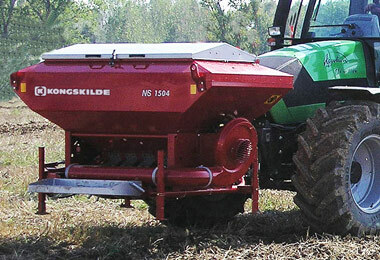 Kongskilde manufacture a large and diverse selection of agricultural equipment. 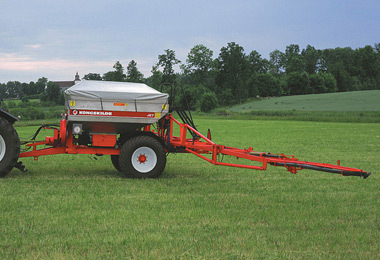 Details:- Tractor mounted front hopper which can be used in conjunction with a combination drill for seed or for fertiliser with a potato planter. Details:- High capacity boom fert spreader with working widths up to 24mt, it has a uniform application rate across the full working width. 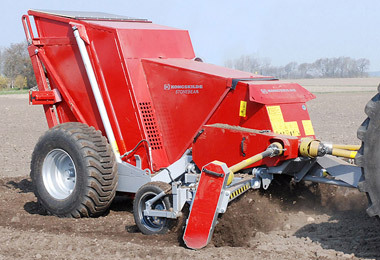 Details:- The stone bear is specially designed for the removal and collection of stones from cultivated land.